Most of us do not truly understand the financial side of caring for our aging loved ones until forced too. In a survey conducted of more than 18,000 long-term care nursing centers and in-home senior care providers, In-home senior care costs $16-$26 per hour, 24-hour live-in care costs $280-$552 per day, while nursing home care can cost $180-$400 a day. Not only are nursing homes a long-term care option, but they often become places for rehabilitation after loved ones are discharged from hospitals. But it’s important to know that Medicare does not cover long-term care costs after 100 days. While Medicaid will cover most of those costs, it varies from state to state, and is contingent on a minimum annual income. •	Average cost for a private nursing home room in North Carolina, in the Triangle area, is $242 per day, keeping in mind whether a short-term rehab stay, or long-term living option, Medicare does not cover the costs of nursing home long-term care after 100 days. 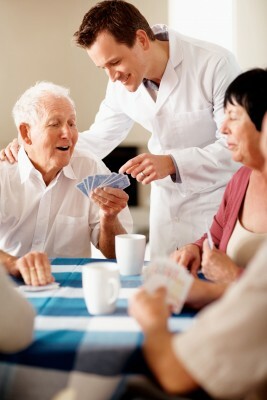 •	Average cost for a home health aide is $19 per hour. 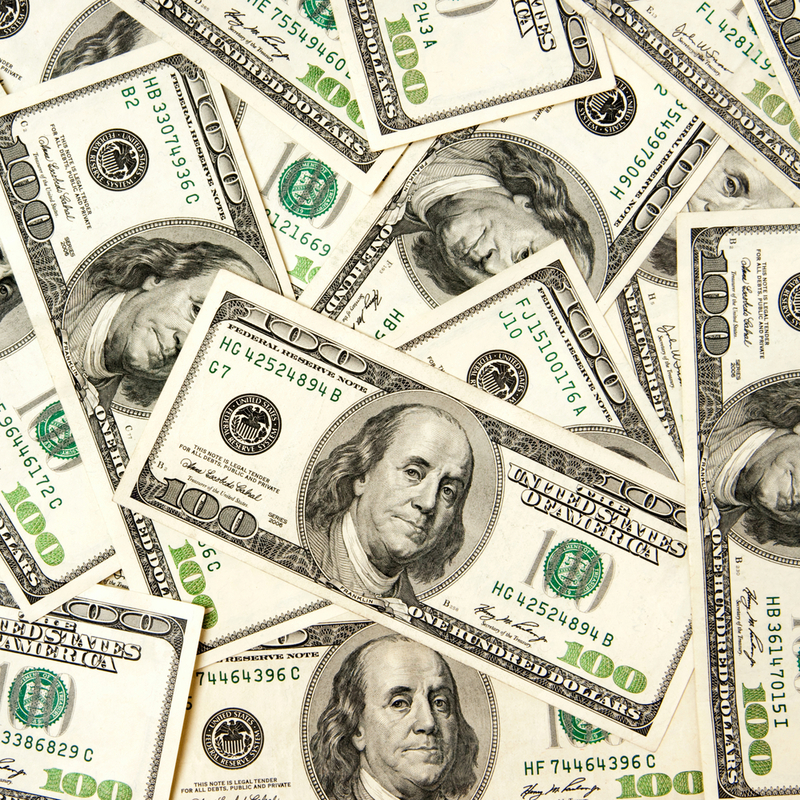 If you assume five hours per day, three days per week, that’s $1,140 per month. In addition, there are still household expenses like rent or mortgage, utilities, property taxes and insurance, food, home association fees, home repair and maintenance fees, and social and entertainment expenses. Not to mention making home modifications should your parents be confined to wheelchairs. •	Average monthly cost of assisted living in North Carolina is $3,605 per month (fees cover basic living expenses including rent, utilities, meals, security, housekeeping and laundry, case management and monitoring, transportation, and entertainment and social activities. Your Next Move can help you locate the perfect senior housing for your aging loved one. Our team of relocation specialists are also with you through every step of the transition process including home sale, downsizing, estate sales and moving household goods. It’s natural as adult children to feel a sense of guilt for moving your elderly parent into a senior living solution. You’ll question whether you’re doing the right thing – Will they be happy? Will they be well cared for? The most important thing is to remember, it’s in the best interest of your parent. With all the advantages that assisted living has to offer, here are 5 reasons to stop feeling guilty, and maybe even feel a bit jealous! 1. Social Circle. If your parent was isolated at home, at a senior living community they’ll revitalize their spirit with a social network of their peers, group activities, games, outings, moving screenings, plays and picnics. Your loved ones may have more of social calendar than you! 2. Home Sweet, Almost Home. Senior communities are built with comfort and independence in mind. 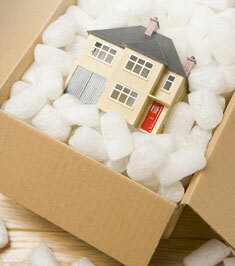 They look more like apartments or condominiums, making it easier for your loved one to move into. 3. Onsite Health Care. While senior living communities are intended for those residents are don’t require a great deal of medical care on a daily basis, they have onsite nursing and other healthcare staff, and promote healthy living solutions so residents can continue to prosper and prolong their good health through healthy eating options and exercise classes, to name a few. 4. No more Chores. 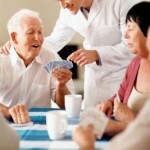 Most senior living communities offer a variety of meal plans, housekeeping and laundry service. While the idea is for your parent to still remain as independent as possible, these services assist them in the daily activities they may have been neglecting at home. 5. Your Loved One is Safe and Sound. With security systems and onsite personnel, your parent doesn’t have to worry about neighborhood break-ins or unwanted solicitors. Senior living facilities provide 24-hour safety and security so day or night, help is only a phone call away if your parent needs assistance. Your Next Move can help you locate the perfect senior housing for your aging loved one. Our team of relocation specialists are also with you through every step of the transition process including downsizing, estate sales, moving household goods, and home sale. Food for Thought – Are You Getting Squeezed to Hard in the Sandwich Generation? With the recent recession forcing young adults to move back in with mom and dad, and the aging baby boomer population requiring care and support from their adult children, the Generation Xers are feeling the pressure. Currently, more than 66 million Americans are in the role of caregiver – financially and emotionally – for an aging parent or parents, and their own children and spouses, according to AARP. And the average care giver is a woman in her mid-forties with a full time job of her own. That’s a lot of support falling on one person’s shoulders. •	If you can spare the cash, give them a one-time lump sum gift that encourages them to budget wisely. 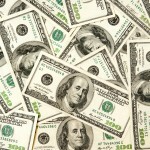 •	If you can’t afford the lump sum outlay, help them pay essential bills like health and auto insurance. •	Set ground rules before they move in with a length of stay and rent expectations. •	Consolidate mobile phone plans, add them to your car insurance, or health coverage to lover premiums, and possibly save both of you money. The Sandwich Generation can be a stressful, pressure-filled place to be, especially when you’re the one in the middle. But surprisingly, according to a recent Pew Research Center study, adults in the sandwich generation are just as happy with their lives overall as are other adults. Some 31% say they are very happy with their lives, and an additional 52% say they are pretty happy. Happiness rates are nearly the same among adults who are not part of the sandwich generation: 28% are very happy, and 51% are pretty happy. So don’t lose sight of yourself and don’t forget to care for yourself. Your Next Move can help you locate the perfect senior housing for your aging loved one. Our team of relocation specialists are also with you through every step of the transition process including home sale, estate sales and moving household goods. 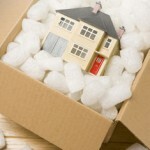 Downsizing… Deciding Where Your Parents Will Live? In a recent post, we talked about the benefits your elderly parent or parents can get from selling their over-sized house and moving some place smaller with less money and maintenance to worry about. So where will they go? Finding the perfect place begins with answering the question: Why do they want/need to move in the first place? Is it because they don’t need a large house? They want to travel more? Or their age makes it difficult to get around these days on their own. Here are 15 questions to assist your parent’s in determining what is most important to them when it comes to daily living so they can search for the perfect place. 1. Do they want to live closer to family, grandkids? 2. Are they happy with the current climate? Are you tired of shoveling snow? 3. Do they prefer the city or rural living? 4. Do they want amenities – pool, fitness room? 5. Do they prefer 24-hour, gated security? 6. Do they need a guest room or extra space for creative projects? 7. Do they enjoy working in the yard? 8. Will they rely on public transportation or still drive? 9. Do they intend to spend a lot of time at home? Do they plan to travel a great deal? 10. Do they enjoy going to the movies, plays, theater? 11. Are they tired of the hassles of home maintenance? 12. Is their retirement fund low? Do they need the income from of their home? 13. Is their property tax too high? Are their monthly utility bills out of control? 14. Is their health making it difficult to climb stairs, do daily chores, live unassisted? 15. Do they require easy access to medical centers, hospital? Our elderly loved ones often experience some from of anxiety and depression as they age, whether they’re dealing with life changes like retirement, death of a spouse, health problems or even an overwhelming concern about their own future. But caregivers, especially adult children, are often prone to their own anxiety and worries. More than 1 in 10 family caregivers report that caregiving has caused their own health to deteriorate, so it’s important to recognize the signs of anxiety and take care of yourself. •	anticipating the worst case scenario and making unnecessary adjustments to your life and your loved ones in response. •	physical symptoms like sweating, rapid heartbeat, dizziness and trembling. Sometimes the symptoms of anxiety may be severe enough that they’re causing extreme distress and disrupting your daily routine, then it’s time to consult a physician who may suggest cognitive behavior therapy or medication. 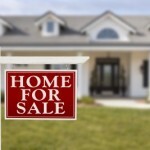 After a 6-year economic drought, the housing market is on the rebound, giving home sellers a much needed advantage. So now may be the time to put your elderly parent’s home on the market if they’re making the transition to assisted living or downsizing. But getting the right price still takes some persistence and patience. Here are 5 key strategies, according to CNN Money, to help take advantage of the turning market and get the best price. Price Just Right. The market may be turning, but it’s not where it was six years ago. 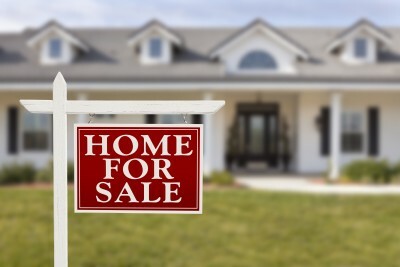 If you expect to sell your parents house, you have to price it just right. In a recent poll, real estate brokers indicated that 75% of homeowners think their agent’s recommended listing price is too low. If you price the house above recent sell prices in your area, your parent’s home may be sitting on the market a lot longer that you expect. Make Repairs. Fix minor imperfections like leaking faucets, holes in walls, etc. and major problems like structural damage before the house goes on the market. These can all be issues you’ll likely have to deduct from the asking price so it’s best to meet it head on. According to a HomeGain poll of real estate professionals and home buyers, the “fixes” that pay off the most are cleaning, decluttering, lighting (lamps, opening blinds, etc. and taking care of electrical and plumbing issues. Stage to Impress. Rearrange furniture to make the rooms look larger, pack away personal affects, add fresh flowers and candles, repaint walls in a neutral color, etc. And it’s important to have the staging complete just before you list online, where 90% of buyers look first, according to Realtor.com. Take Professional Photos. Because the web is typically the first place buyers go to, take lots of pictures. Work with your Realtor to get professional photographs. Lighting can make all the difference, especially for close-up details. 30-40 great shots can give a potential buyer a 360 degree view of your house before ever stepping foot in it. Get the Right Appraisal. Since appraisals can be based on homes that sold six or more months ago, it’s important to make sure the appraiser is using the latest comparable sells. Ask your agent to personally oversee the appraisal process and give the appraiser the latest data and sell comparables in your area.